Are you you thinking about homeschooling your child? What do you need to know before you begin? What do you need to know before you start homeschooling your child? This is a huge decision, you are taking your child's education into your own hands. Make sure you read about everything you can on homeschooling. You don't want to miss a thing. Homeschooling your child is hard work, but if you are dedicated to teaching your child, they will receive the best education possible. Each state or province has their own set of laws as to how they handle homeschooling. It usually involves signing an intent to homeschool form and depending on the state, you may be required to keep detailed records of your child's work and may be required to do annual standardized testing. Here in Ontario, Canada, we're required to send in an intent to homeschool form and that is all. Have you thought about homeschooling your children? Read anything you can about homeschooling. Go to the library and borrow anything you can find on homeschooling. This will give you different points of views about homeschooling and give you a nice big picture of how it is done. You can ask 10 families how they homeschool, and they will each give you a different answer. There are so many ways that you can homeschool either through an umbrella school, online, through a homeschool co-op, or unschool. There are so many options now, and you can mix things up. Read about the different homeschool philosophies and see if one resonates with you and your family. Can you picture yourself teaching that way to your children? Is that how you picture your homeschool. Join a local homeschool group and see if you can meet up with some other homeschoolers. Many veteran homeschoolers would be pleased to field new questions from a newbie. Your children will also be able to meet other homeschooled children so that they can build new friendships, that can continue through your homeschool journey. The local homeschool groups will also organize fun activities and field trips that you can participate in as well. You'll also learn of any homeschool sports or classes that may be going on in your area that you may join. You may also be interested in joining a co-op, where parents teach classes to other children that your kids can take as well, you will be required to either help or teach a class as well. Making connections with other homeschoolers will help you when you run into a dilemma and provide a social outlet for your family. 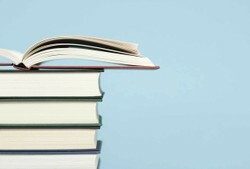 Before you decide to make the huge purchase of books for the school year, do your research. There are so many different curricula available for each subject it can get overwhelming. Take your time to read about the curriculum, look at the samples, and read the reviews. You want to make smart decisions especially if you are on a tight budget. Don't take one persons word for it, just because they rave about one particular curriculum, it doesn't mean it is going to work well for your family. If you don't have a large budget, look for used curriculum sales either at used bookstores, thrift shops, or online. There also numerous free online curriculum as well. If you have children that were in public school that you are pulling out, let them deschool. Give them a month or two to relax and find their interests. Once you start teaching, start with one or two subjects, let them get use to you as the teacher. Your children will need to learn to do their school work daily, that just because they are at home, it doesn't mean they get to play all day. Start with short lessons and take breaks. Send them to run around the backyard for awhile before coming in to do seat work. Find what works for each child, they are not all the same. Start a routine so that they know what to expect and this will make transitioning from subjects easier. Remember that you are teaching your children, even though you may not finish the whole book or check off that task on your lesson planner, at the end of the day you are still learning and you are learning together. What do you need to consider before purchasing your curriculum? Would you like your children to pick a book and read for pleasure rather than turning on the TV? If you are homeschooling your children, are you wondering where you are going to get enough money to buy all that new curriculum for the year? Are your children interested in reading? You can teach them yourself. Enjoy this time learning the sounds of the alphabet and then progress onto phonics. Another important factor is to set the atmosphere in the house. It should also be calm and conducive to study. Design the room using various charts and posters and create a fun atmosphere, for the child to study. Make it a point that you use a table and chair for studying, as the posture you keep while studying is also important. I'm a former teacher, and I've got to hand it to mom's who homeschool. It's a lot of work and responsibility.